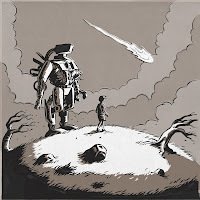 Another one of their collaborative projects is ongoing, under the Long Division with Remainders (LDWR) moniker. It's called Collision/Detection and consists of invited artists throwing audio clips into a central pot. This resource is then shared around the group for each one to manipulate in their own way. Already this year, we've had EPs in the series from Psychological Strategy Board, West Norwood Cassette Library and The Lord. These three would qualify comfortably under sound art or sound design, occupying experimental, challenging and often intriguing terrain. However, the fourth in the series, from London/Cambridge band Hong Kong in the 60s, is a slightly different kettle of (pop) fish. 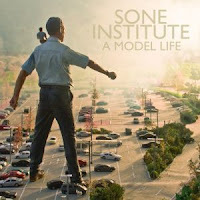 It was 2010 that I first came across Sone Institute, which is largely one man, Roman Bezdyk. His album that year, Curious memories, was a masterful set of Burt Bacharach leaning tunes (in terms of their laid back atmosphere only), put together using samples and cut and paste wizardry. (In fact, I featured a tune from it in the recent Trumpets special, 'On tree hill' which samples the iconic trumpet part from the Bacharach-produced, Gene Pitney classic '24 hours from Tulsa', alongside a frantic Bollywood sample) This follow up shares the beauty and enigmatic qualities of the previous album, but adds a more organic feel, possibly due to the host of collaborators on show - among them Nils Frahm, Katie English of Isnaj Dui and Dale Grundle of The Sleeping Years. Well, I've been away for a few weeks but what a lovely pile of music there was waiting for me when I returned. 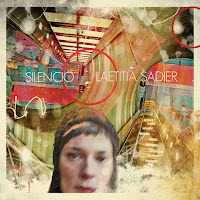 Let's start with the wonderful Laetitia Sadier, back with her 2nd solo album. The Trip was great and so is this. She's probably forever destined to be referred to as the "ex-Stereolab frontwoman" but she's rapidly carving her own identity post 'Lab.